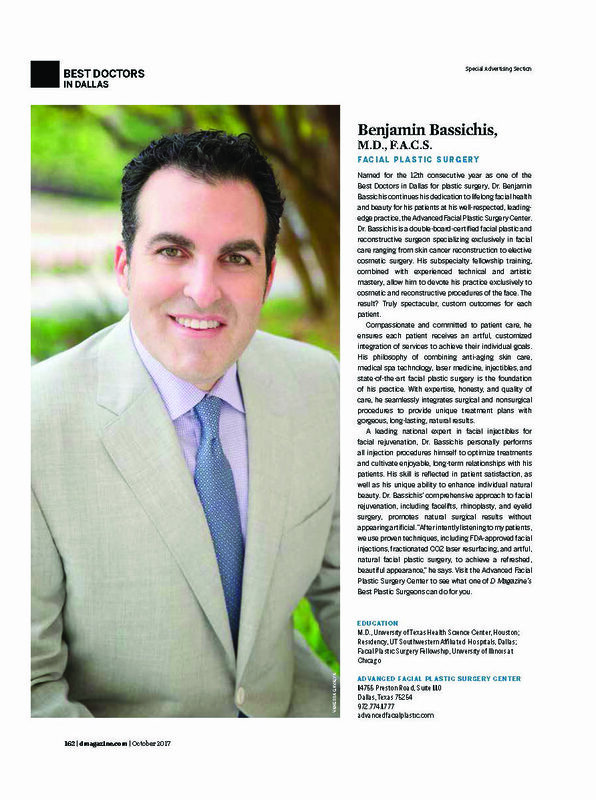 Specializing exclusively in aesthetic and reconstructive facial plastic surgeries and procedures in Dallas. 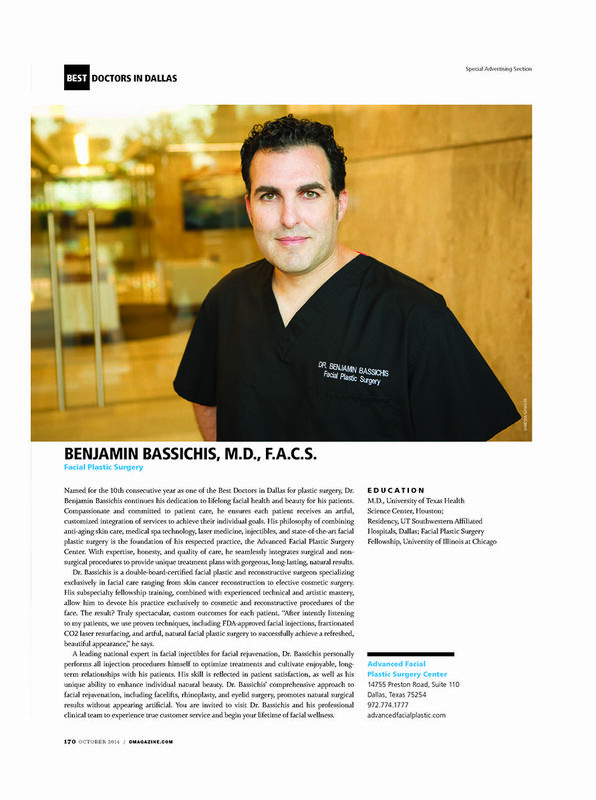 At the ADVANCED FACIAL PLASTIC SURGERY CENTER in Dallas, our Facial Plastic Surgeon Dr. Benjamin Bassichis, is dedicated to lifelong facial health and beauty for his patients. 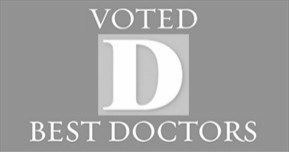 In the elegant but modern clinic, our top medical and aesthetic team will guide you in creating a plan customized for your needs. At ADVANCED, we prioritize your safety, comfort, and outstanding lasting results. 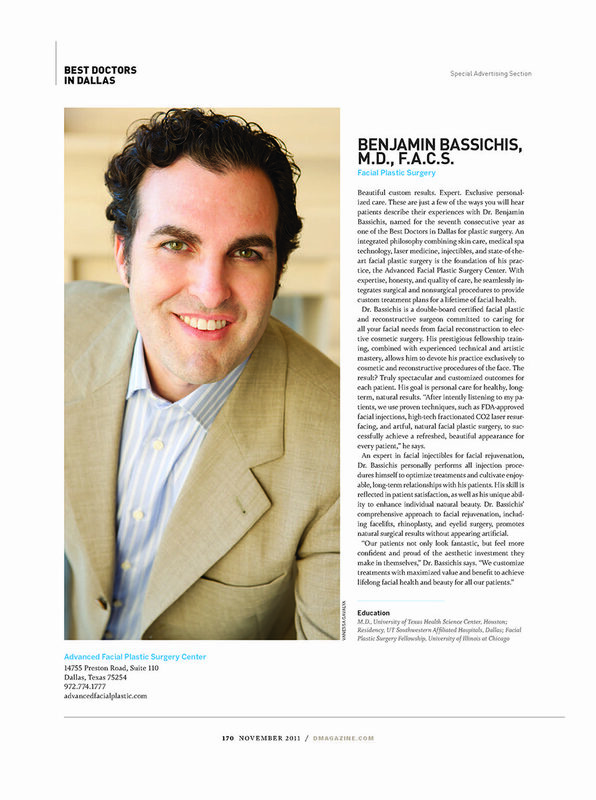 Your experience is as important as your outcome with aesthetic and reconstructive procedures. 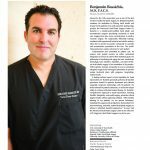 It is always our pleasure to take wonderful care of all our patients. 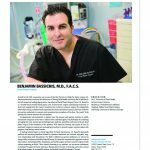 Voted one of the Best Plastic Surgeons in Dallas and a Top Physician in America, Dallas’ own Dr. Benjamin Bassichis is a double board-certified facial plastic and reconstructive surgeon specializing exclusively in facial care ranging from skin cancer reconstruction to elective cosmetic surgery. 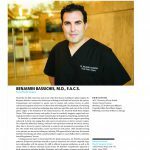 His philosophy of combining anti-aging skin care, medical spa technology, laser medicine, injectables, and state-of-the-art facial plastic surgery is the foundation of his respected practice, the ADVANCED FACIAL PLASTIC SURGERY CENTER. 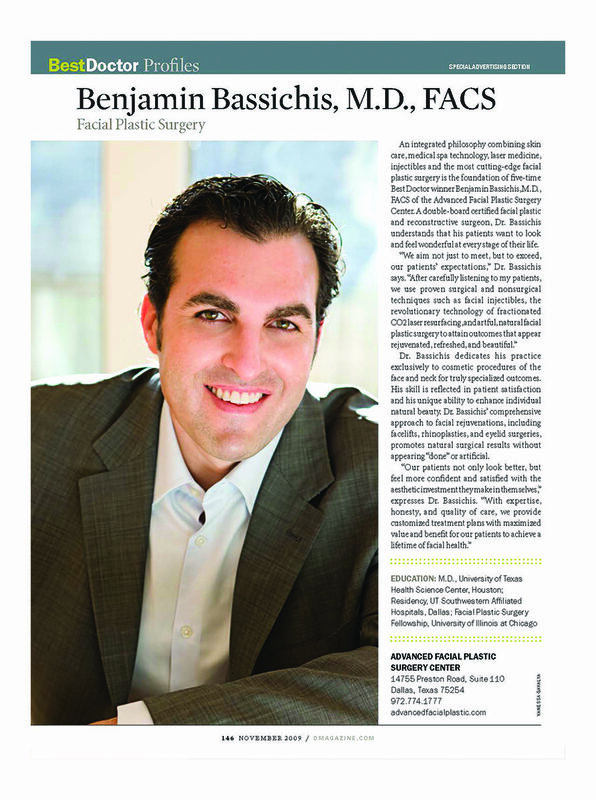 With expertise, honesty, and quality of care, Dr. Bassichis seamlessly integrates surgical and non-surgical procedures to provide unique treatment plans with gorgeous, long-lasting, natural results. 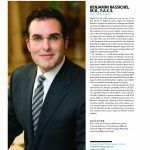 Top Dallas Facial Plastic Surgeon, Dr. Bassichis’ comprehensive approach to facial rejuvenation, including facelifts, rhinoplasty, laser resurfacing and eyelid surgery, promotes natural surgical results without appearing “done” or artificial. 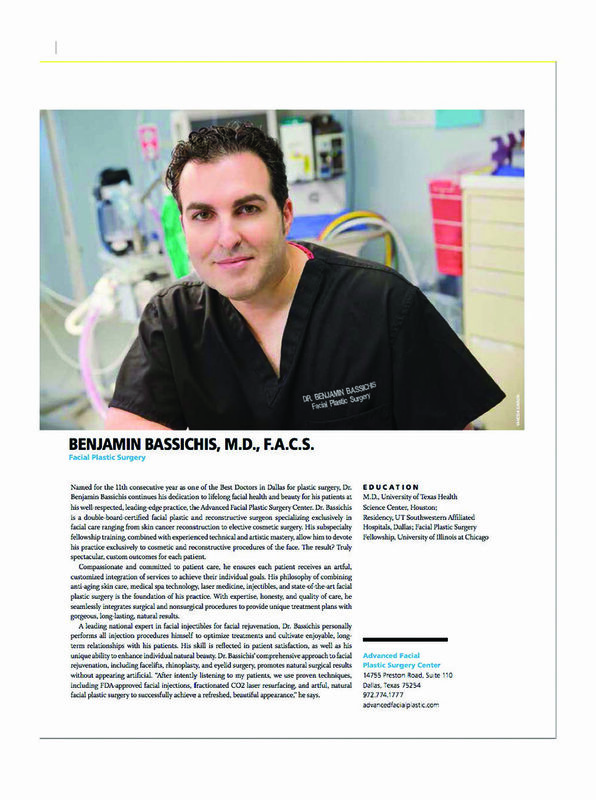 Unique subspecialty fellowship training combined with experienced technical and artistic mastery allow Dr. Bassichis to devote his practice exclusively to cosmetic and reconstructive procedures of the face resulting in truly custom outcomes for each patient. 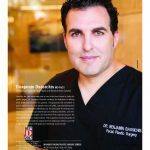 Prioritizing patient safety and the highest standard of care, we only use board-certified physician anesthesiologists to ensure the safest outcomes for our patients. 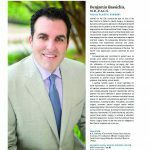 With our integrated approach to surgical and non-surgical facial care, ADVANCED is dedicated to providing our patients a lifetime of natural-appearing aesthetic improvement. 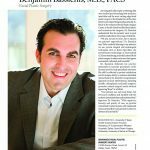 As a leading national expert in facial injectables for facial rejuvenation, Dr. Bassichis personally performs all injection procedures himself to optimize treatments and cultivate enjoyable, long-term relationships with his patients. 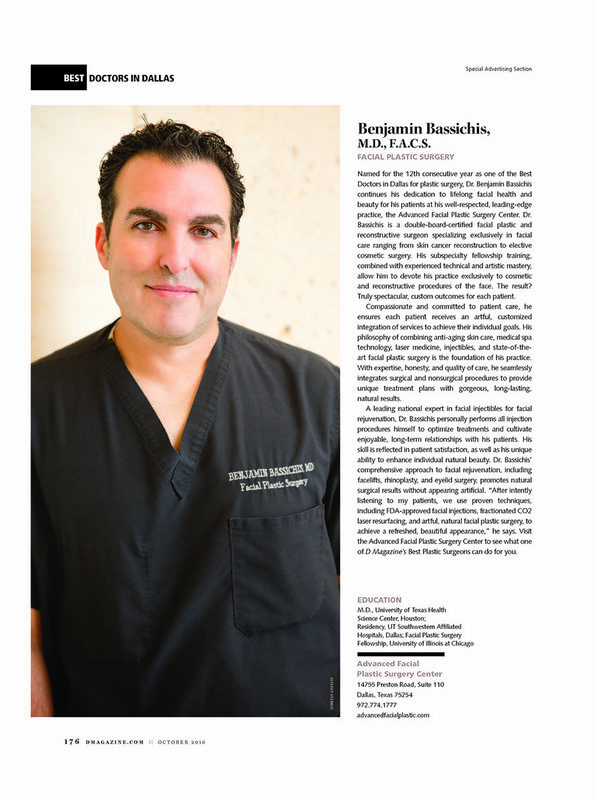 His skill is reflected in patient satisfaction, as well as his unique ability to enhance individual natural beauty. 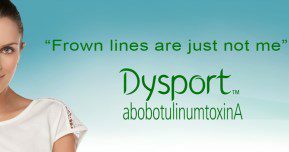 Facial injectables such as BOTOX® and Dysport. 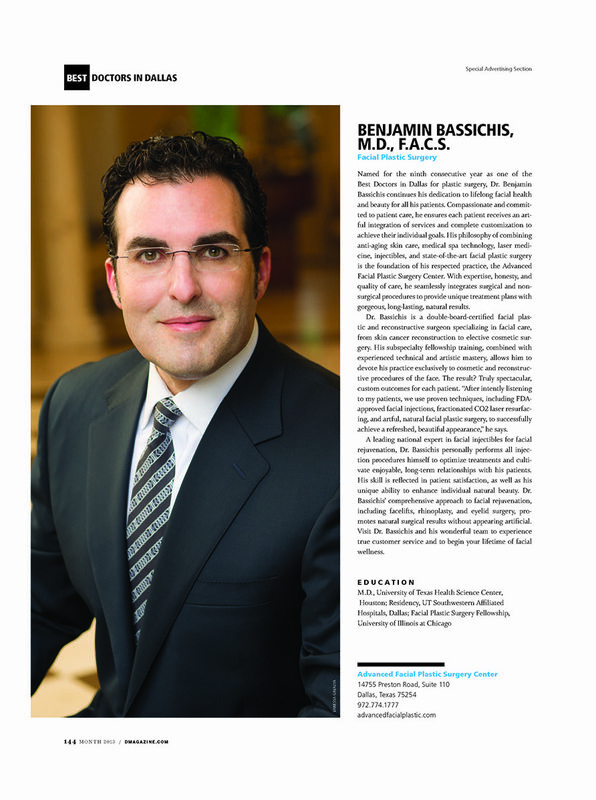 Dr. Bassichis is a nationally-recognized expert in the procedure. 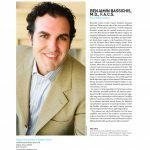 Facial fillers including Restylane®, Juvederm®, Perlane®, and Bellafill® can help your rejuvenate with revolumization. 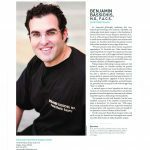 Latest-generation laser technology, microdermabrasion, and chemical peel procedures. 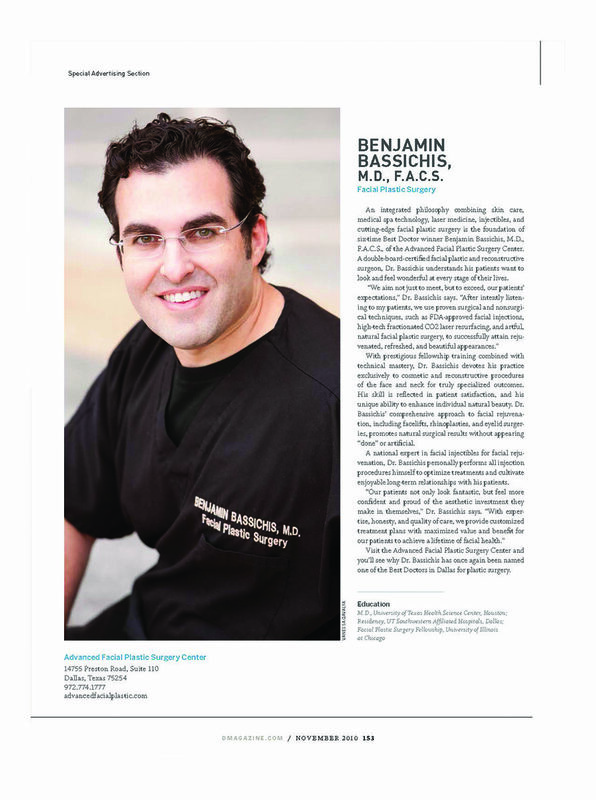 Artfully combining aesthetics, cosmetic surgery, and skin care allows our patients to maximize their improvement to achieve a lifetime of facial health and beauty. 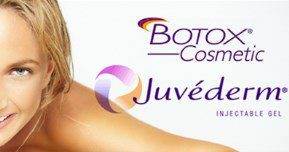 Entrust your face to the very best. 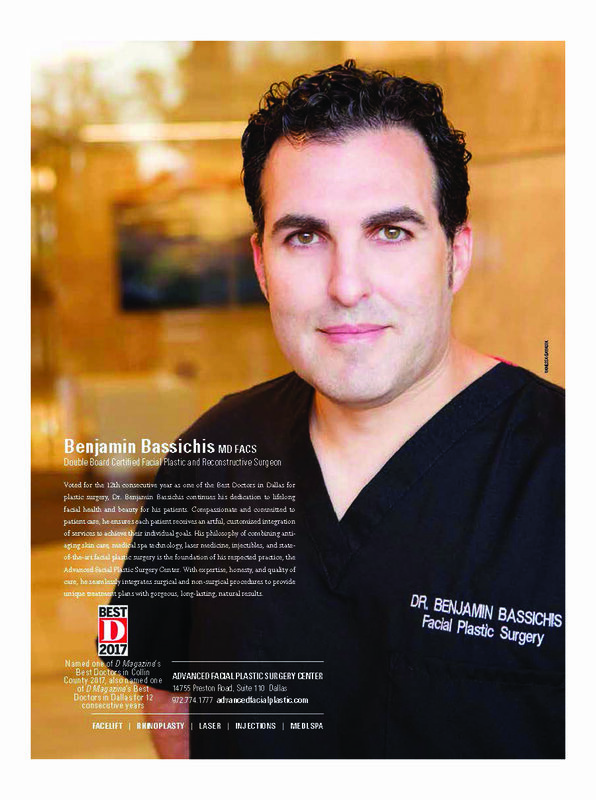 We invite you to visit top Dallas Facial Plastic Surgeon, Dr. Benjamin Bassichis and the ADVANCED FACIAL PLASTIC SURGERY CENTER for your personal consultation today.